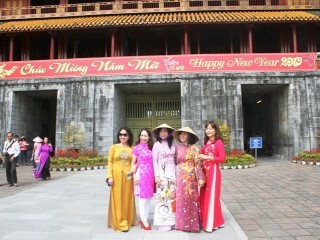 Results for "Hue Monuments Conservation Centre"
The Hue Monuments Conservation Center has just published the book “Conserving and promoting world heritage values in Hue ancient capital”. 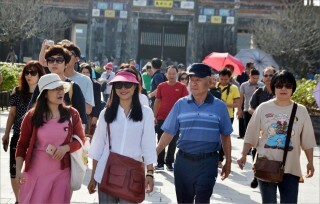 Chairman of the provincial People's Committee said that the complex of heritages and relics of Hue is very large, and this is the potential for tourism development. 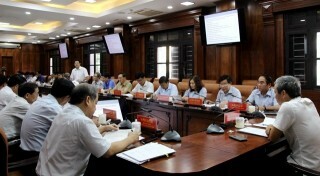 In general, the province is still disoriented between conservation and development. 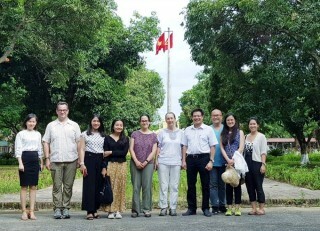 On May 18, the Hue Monuments Conservation Center held a program for students to visit and explore cultural heritages at the Hue Museum of Royal Antiquities. 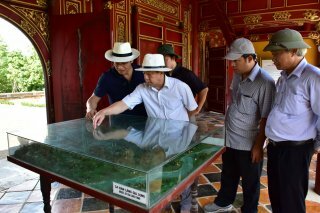 “The 100th Anniversary of An Dinh Palace” exhibition, held by Hue Monuments Conservation Centre on the occasion of the 100th anniversary of An Dinh Palace (1917-2017), has just opened to the public on November 23 at An Dinh Palace.